The global critical weather intelligence provider Baron has announced the appointment of international weather expert John L (Jack) Hayes, who has been tasked with expanding the Huntsville, Alabama-based company’s global business development initiatives. Dr Hayes’ weather industry experience includes a 28-year career in the US Air Force, 12 years at the National Oceanic and Atmospheric Administration (NOAA) and seven years in the private sector. Recognised as a national leader in the production and delivery of weather information and services, Dr Hayes served as the director of the United States National Weather Service (NWS). His proactive leadership of the agency’s 4,600-person workforce maintained the USA as a world leader in severe weather detection and warning for hurricanes, tornadoes, floods and other environmental threats. He also transformed weather services for FAA (Federal Aviation Administration) air traffic management and established long-lasting international space weather partnerships. During his time as NWS director, he also served as permanent representative of the USA with the UN’s World Meteorological Organization (WMO). He strengthened bilateral agreements with Korea, Canada, Russia and China, and developed strong partnerships with the UK and several countries in Central and South America. 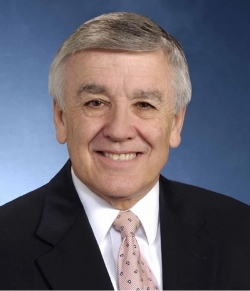 Dr Hayes previously served as director of the World Weather Watch Department for the WMO in Geneva, Switzerland, and coordinated multilateral strategies to improve NMHS (National Meteorological and Hydrological Services) weather observations and forecasts in WMO member countries. While serving in several senior NOAA leadership positions, Dr Hayes directed the National Ocean Service’s recovery response following Hurricane Katrina, and developed strategic plans to improve weather observations, forecasts, warnings and information technology infrastructure.